ADCO Diamond | 5mm Wedding Band with double milligrain edges. 5mm Wedding Band with double milligrain edges. 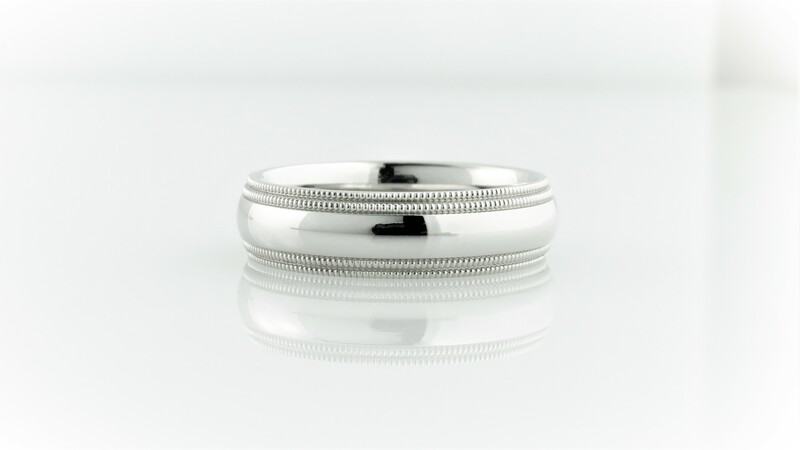 5mm polished comfort fit wedding band with double milligrain edges. Size 10. Available with satin finish. Please specify. Handcrafted in the U.S. Delivery time is 2-4 weeks. Special order. Please contact for us for different finger size price.